Skill development is critical to your teams success. 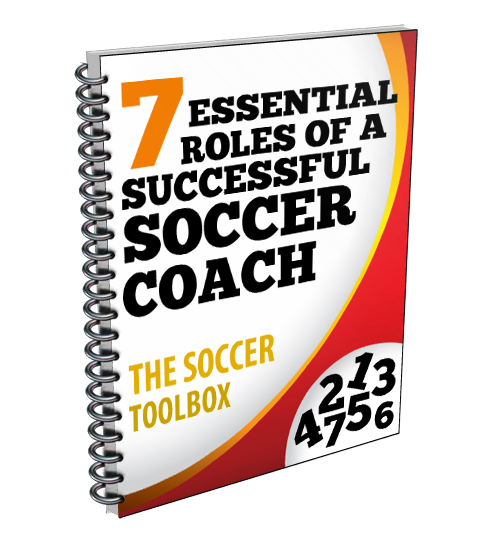 Here are four skills to teach that will increase your players ability to score more goals. In the clip below Charlie Cooke, Director of Coerver Coaching USA, instructs players on a First Touch drill that is part of his Finishing demonstration at a recent Glazier Soccer Clinic. This drill is set up with four groups of players that are working together by passing across the grid so there is a constant rotation. Both groups of players are told to compete against each other by seeing how many passes they can connect in one minute. This is not only good for players to get lots of reps by passing, trapping, and receiving, but encourages players to be competitive by trying to win against the other team. Each player that receives a pass must use their outside foot to trap the ball into space, then make an outside foot turn to switch directions, and then make a pass across the grid. These skills are simulating trying to create space to get away from a defender. This move is named after Cristiano Ronaldo, who is considered one of the best soccer players in the world. Each player has to use their back foot to chop the ball while taking a small jump in the air. This change of direction move is used while dribbling at a defender to create separation and space. This skill is very similar to the outside foot trap and turn, but with the inside part of the foot. Each player is still required to make a pass across the grid and then switch lines. The receiving players must start in the opposite grid where they were trapping the ball to, so the first touch would be to the player’s left and the turn would then put then across from the opposite line. The YouTube video has audio, so please make sure that your sound is turned up and that you have access to the site. Note that some schools block access to YouTube.